If you're at all familiar with Lean manufacturing, then you've probably heard of 7 Wastes of Lean. Originally recognized by Toyota Production System pioneer Taiichi Ohno, the original 7 wastes were identified as the most common wastes manufacturers face: defects, overproduction, waiting, transportation, inventory, motion, and extra processing. These things, Ohno identified, were the enemy to productive manufacturing, and Lean methodologies strive to purge these wastes from production processes. The 8 Wastes of Lean is an extension of Ohno's philosophy. The 8th waste, non-utilized talent (sometimes called skills), is a much-needed update to the list of things that stand in the way of a company's success. Updating the common wastes of Lean with non-utilized talent is a no-brainer, since this problem is a common one, no matter what industry you're in. Often times, new hires get placed on the job without the proper training because there's only time to give them the ten-minute rundown of their duties. While this may seem like a way to save time in the moment, the long-term ramifications of these can cost far more in terms of waste. Below is a brief description of the 8 Wastes of Lean, and ways to combat these issues in your facility. A good way to remember these wastes is through the acronym DOWNTIME. Defects are characterized as any products that don't meet company standards. Defects are usually considered the worst of the wastes, since they often require reworking to become sellable or they get scrapped entirely. Scrapping and reworking entails additional costs to the operation without adding any value for the customer. Let's look at some examples. In manufacturing, this might look like a 100 Fuzzie Wuzzie bears needing rework because they were produced without right eyes. Defect-related waste could also look like a real estate company needing to reprint 5,000 brochures because the CEO's last name was spelled incorrectly. Defects can manifest themselves in different ways, but the reason they occur often stems from the fact that there was a failure to implement steps to catch and correct human error. Rethink production process - can it be done in a way that avoids the risk of this defect? One of the subtler of the 8 Wastes of Lean, overproduction happens when a product (or piece of a product) is made before customer demand requires it. While it might be tempting to produce as many products as possible, this tactic, the "Just in Case" way, causes a host of problems. This strategy can prevent smooth workflow, drive up storage costs, hide defects in the inventory, requires too much money to fund production process, and has excessive lead-time. 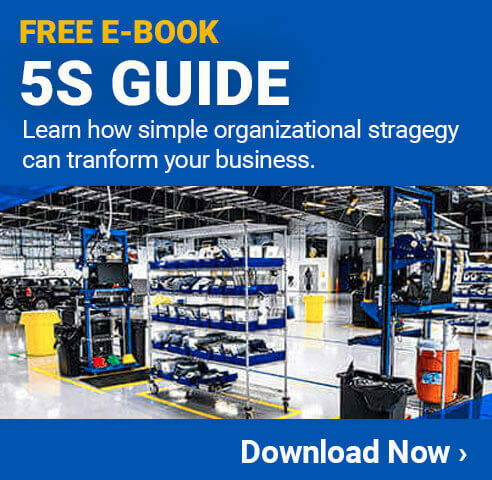 Rather than a "Just in Case" strategy, Lean methodologies believe businesses are better off subscribing to the "Just In Time" concept of production. This production philosophy focuses on customer demand instead of producing as much product as possible, and allows your company to operate more efficiently. Use a pull or Kanban system to manage amount of WIP. Waiting is perhaps the easiest of the 8 Wastes of Lean to overlook. Essentially, this waste occurs when time is lost as a result of a sag in productivity. Examples include: workers waiting on material, production stopped for equipment cool downs or maintenance, and too many reviews required before process continues. Waiting time is often precipitated by unevenness in production and can result in excess inventory or overproduction. In an office setting, a good example of waste is unnecessary or excessive meetings, long email chains, long queue of files waiting to be approved, etc. The best way to combat waiting waste is implementing continuous flow or single piece flow into your business production processes. This is new addition to the 8 Wastes of Lean. Though not acknowledged by the Toyota Production System, this 8th waste refers to the waste of human talent. This waste occurs when companies have management that doesn't utilize employees expertise, experience, and skill. Instead of inviting employees to use their knowledge to help improve processes, they're only expected to follow orders. The consequence of this is often inefficient, stale manufacturing processes and a workforce that doesn't feel comfortable offering suggestions. Another way this waste rears its head is when workers aren't sufficiently trained. For companies to operate efficiently and productively, they must fully invest in their workers, and complete training is a great place to start. When workers are given the opportunity to thrive in the workplace, they work their hardest and best. Of the 8 Wastes of Lean, transportation waste can be the trickiest to spot. This waste refers to the unnecessary movement of products, equipment, and people. Not only does too much transport take away precious time from the production process, it also makes materials/products more susceptible to damage and defects. Another pitfall of this waste is it makes for unnecessary work, adds wear and tear to equipment, and can lead to premature fatigue. Too much inventory is waste. This is a controversial opinion. Depending on who you ask, you'll either get shouted down are receive uproarious applause in agreement. Accounting departments don't consider excessive inventory to be a waste because they look at inventory as assets. In production, however, excessive inventory leads to defected or damaged products, defects being hidden in the inventory, longer lead time in production process, and inefficient use of capital. Too much inventory is usually a result of over-purchasing or overproducing (which is one of the 8 Wastes of Lean). While some people still maintain that excess inventory isn't a waste, this issue can result in a lot of extra costs, especially if a defect is discovered in the large inventory. In the 8 Wastes of Lean, motion refers to any unnecessary movement of equipment, people, or machinery. Walking, lifting, reaching, bending, stretching, and moving that adds time or expends extra energy would qualify as motion waste. A dentist office keeps its records in a cabinet so high its receptionist needs to use a ladder to access files. This extra movement each time a patient needs to be checks in adds time, expends too much energy, and increases the risk of an accident. In a warehouse setting, this might look like crew members having to strain to reach where tools are kept, or having to walk 100 feet to retrieve a commonly-used piece of equipment. Extra processing refers to a product or service having more features or capabilities than is required or expected by the customer. In manufacturing, this could include using equipment with more components or capacities beyond what is required to manufacture product, over-engineering a solution, spending too much time on unnecessary analysis or adjustment, and having more functionalities to a product than needed. Extra processing could also look like documents needing too many reviews for approval, redundant data entry, or anything that adds extra steps in a workflow.